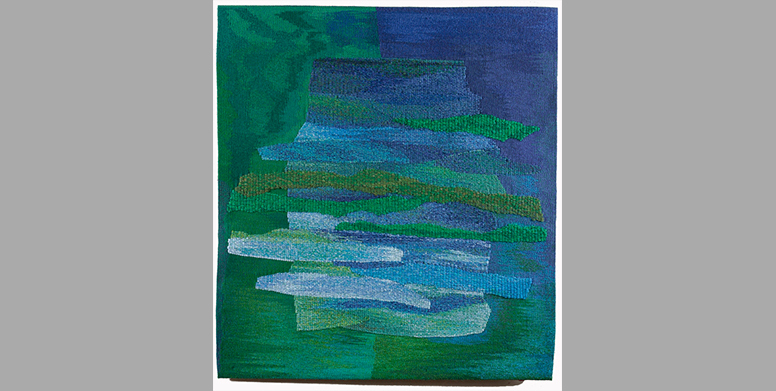 Mireille Guérin studied wall art at the Ecole Supérieure des Métiers d’Art (ENSAAMA) in 1973, then did training in tapestry at the Ecole des Beaux-Arts in Angers in 1984. 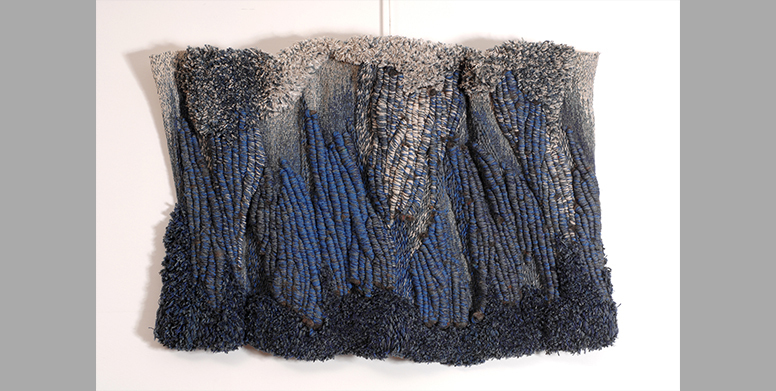 She won 1st departmental prize at the Métiers d’Art (SEMA, Val d’Oise) in 2000 and helped found the Centre d’Art Textile in Angers in 1986. 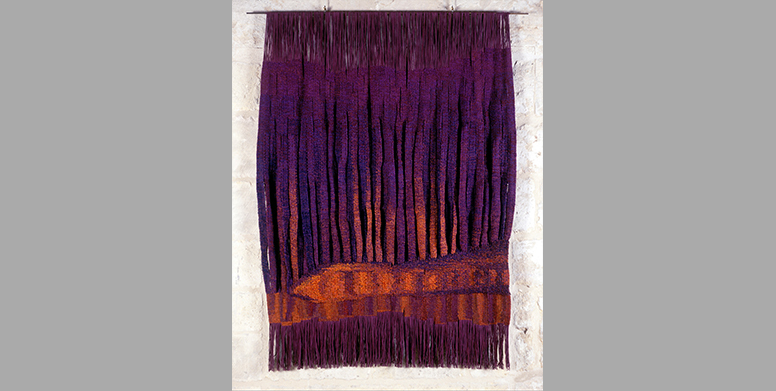 She has been showing her work in galeries and museums and at contemporary art exhibitions at Les Ateliers de Paris since 1990; she regularly holds training sessions and workshops in tapestry. 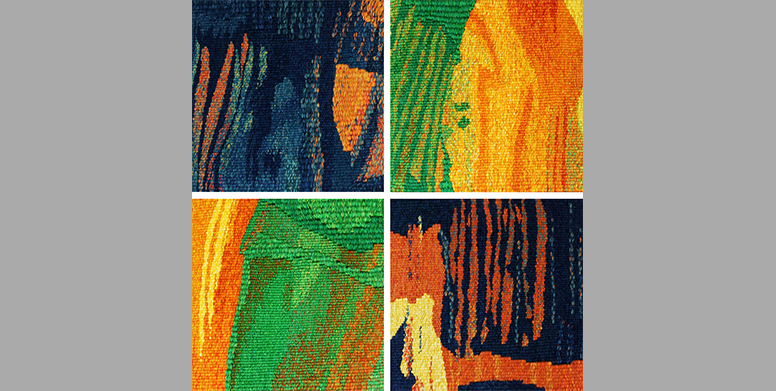 Guérin makes use of the ancestral high-warp loom technique, which involves the use of vertical looms in tapestry making. 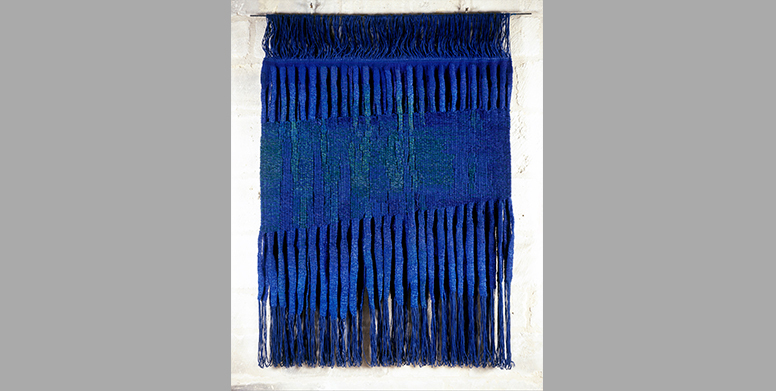 This traditional craft, serving the cause of contemporary art, takes on a new dimension when the artist gives free rein to her creativity. 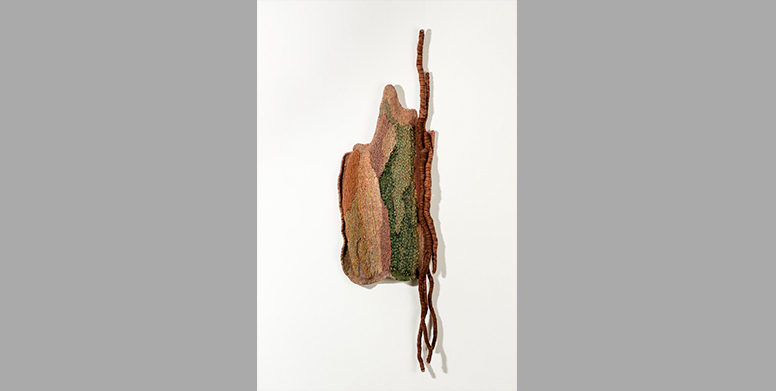 With this pioneering approach, she sculpts her material, exploring its possibilities for creating a sense of depth and shape through infinite gradations of tincture-plant colors. Her work with color goes hand in hand with, and enhances, her favorite subject: the botanical world. The gallery French Arts Factory accompanies in a perm way the artist and presents regularly her works.